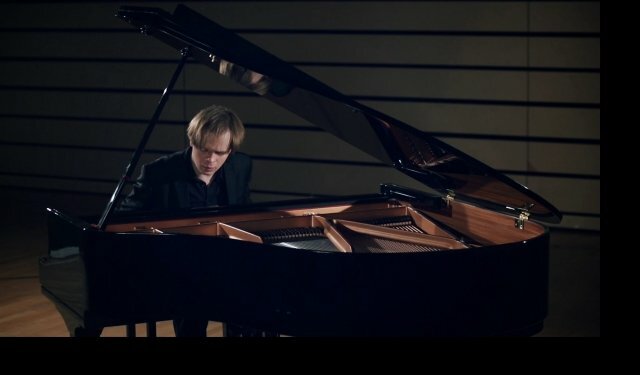 High quality lessons from dynamic and enthusiastic concert pianist,chamber musician, graduate from the Royal College of Music in London (Master of Performance Degree with Distinction) a prize-winner of international music competitions, holder of many prestigious awards and scholarships and Artistic Director of The Masters Music School in London. Suitable for intermediate and advanced students. Only serious enquiries. Payments to be organised in monthly termly or half-termly blocks. No cancellations, no refunds for missed lesson once the timetable agreed. Over 10 years of teaching experience privately, in state, music and independent schools in the UK and abroad, all levels and age groups. Due to the nature of my teaching and performance experience, intermediate and advanced students are particularly welcome. Prize winner of St. Martins Chamber Music Competition London -2012, 1st prize on RCM Ensemble with piano Music Competition - London-2012, holder of the Royal College of Music Scholarship. Performances in Royal Albert Hall, Steinway Hall, St, Martin-in-the-Fields, St. James`s Piccadilly, just to name a few. Understanding the energy transformations and physical processes that occur to one’s hands and body while performing is a key-point in teaching the piano technique. No matter if students play for pleasure or if they want to achieve some professional goals, they need to be given tools which will enable them to fully express their personality and create their own interpretation. As learning the technique is similar to learning the language (learning HOW TO SPEAK), the method puts a strong emphasis on preparing some tools that let the music exist- the quality of sound and piano touch are prioritised from the very first lesson. Some professional and detailed hand and finger positioning tips and technical exercises are offered to support the technical development. Clear and easy-to-follow references to the main laws of physics are being made while teaching intermediate and advanced students. Beginners are being clearly instructed on what actions will make them technically successful, so good habits may be developed at the earliest stages of learning. The detailed demonstration is included to support the learning process. An extensive performance experience is being brought to the teaching environment. Therefore, lessons contain professional guidance on techniques of concentration, relaxation and controlling the performance anxiety. Also, Przemek’s advanced teaching training covering some aspects of psychology and methodology ensures the problem-solving approach in lessons and makes the teaching/learning process efficient and satisfying. Practising at home is a natural continuation and repetition of any issues explored during the lesson. Clear, understandable and simple tips are being provided during the lesson and at the end of it, to summarize the lesson content and to create a firm practising schedule for periods between the classes. Detailed analysis of the musical structures, recognizing and creating patterns, using logical and textural combinations, various memory techniques and awareness of the historical context makes the learning process faster and more efficient. Some elements of history of music, harmony and theory are an integral part of the method and are introduced whenever needed, to create a conscious and intellectually confident interpretation. Useful reading and sight-reading techniques are included to support the learning process. As a result, all aspects of musical education are being covered. A flexible lesson content may be offered for intermediate and advanced students. The elements of improvisation, composition, piano arrangement, pop piano may be included on demand. Lessons are tailored to meet individual needs of each student in terms of repertoire and approach. As a flexible and innovative pianist Przemek enjoys teaching the range of styles and approaches to performance.